Anyone know of (preferably wireless) access points in Myoko near Akakura Hotel? Not sure Martin as I never take my laptop up the mountain. You can get wireless at the community centre / library 'Myoko Messe' next to the hospital. It's about 5 minutes walk from the station. You could also try messaging Hawker. I think he might know better, or he might even have wireless at his establishment. With a little bit of luck someone else who is up there might log in and let you know. Alternatively pop your laptop open and you might just pick up a signal. It often works for me while I'm travelling. I once picked up a signal at a train station when I was stuck in the middle of nowhere one night. There were no houses nearby and no station masters office either. 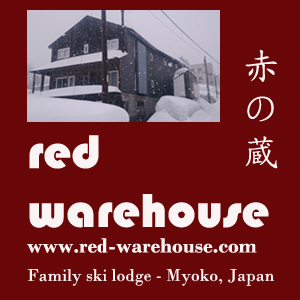 I've just put up more info and a link to a wireless freespot map here: http://myoko-nojiri.com/faq.htm. You'll find a lot more places in the area are getting wireless access.